Sample itinerary by our DMC Portugal Experience Coordinator. 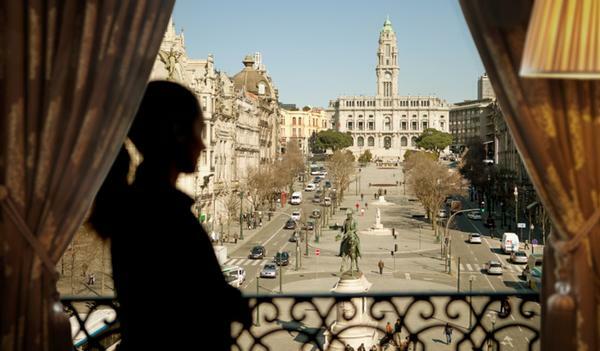 Day 1: Check in at Eurostars Porto Centro Hotel 4* or Intercontinental Palacio das Cardosas 5*. After lunch on your own you’ll have a city tour. A two-night minimum stay applies for Suite Privileges. Walk the narrow and picturesque streets of Porto with a local, and reveal all its secrets and hidden gems in a pleasant and fun stroll. Discover why this small city in the north of Portugal was, for many centuries, one of the most important ones in the world, and from here, the Portuguese ruled world's navigation routes and trade. Find out about "Henry - the Navigator" and "Dom Pedro I - King of Portugal and Emperor of Brazil" and Port Wine. Or just learn about Porto's culture and traditions, and how we, the "tripe people" live (Porto's locals are called "tripe people" "Tripeiros" in Portuguese). You will also taste a unique chocolate candy with a wine tasting. Day 2: Port Wine is produced 75 miles away from the city of Porto, in the oldest demarcated wine region in the world - the Douro Valley. This is really a hidden place surrounded and protected by mountains that, besides preserving nature and people's authenticity also create a microclimate necessary to grow the Port Wine grape varieties. Besides the landscape you'll have a full Port Wine experience, visiting different wine estates and tasting all styles of Port Wine - White Port, Ruby, Tawny, LBV (Late Bottled Vintage) and Vintage. All this tastings and visits will take place throughout the day, in different locations, in a very smooth way, making everything feel logical. Each wine estate was carefully selected taking in consideration the quality of the wine (some "Wine spectator" awarded wineries), location and facilities. 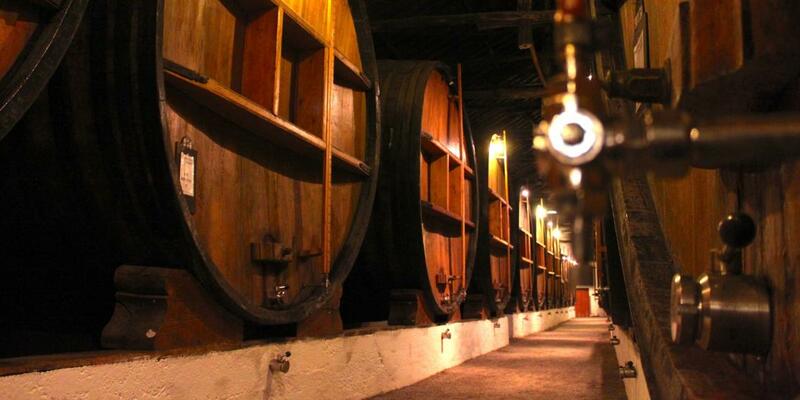 You'll visit traditional places from small producers, and also modern estates belonging to big Port Wine companies. For lunch we want to show you the local flavors, in a non-touristy place. So, we'll take you deep into the valley, away from any main roads and towns, to an almost forgotten small village. It's where the best views are. You’ll admire the landscape, the most beautiful belvederes, the wine estates, the local people and typical food. But, most important, you'll have a very relaxing day, always surrounded by nature and the Douro River. Please note that some of the tastings and visits can easily be replaced by other activities like taking a cruise in the Douro River or visiting an old olive oil private mill. Day 3: Because when you travel to a new destination you would like to see and discover different things, we present you a surprising day trip to visit unexpected places south of Porto. This private tour's first stop will be in Aveiro, called the Portuguese Venice; this colorful city has canals, gondolas, Salines, "Art Nouveau" buildings, and a unique egg sweet delicacy. A treat to the eyes and palate! 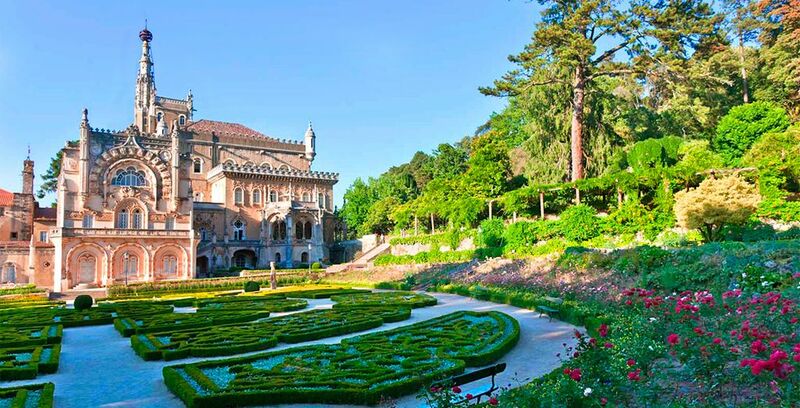 After that, you'll get much more "romantic", as we are moving to Bussaco - an extravagant Palace (also a hotel) built in the middle of an old monastery's forest. Everything here will seem out of place but, at the end, the entire surrounding will look quite beautiful, making this as unique place to visit. Even more after learning all the stories about it. To absorb everything about Bussaco, have lunch at the Palace and take our tour! The overwhelming inside decoration "screams" Portugal anywhere you look - the tiles, the staircases, the stained glass windows and the furniture. You'll feel like royalty. For the early afternoon, stroll the main streets of downtown Coimbra, a riverfront city and home the oldest University in Portugal (and one of the oldest in the world). Day 4: Guimaraes. Visit to the Castle of Guimaraes, followed by the the Duke’s Palace and the historical centre. Lunch can be an option between Guimaraes or move to Braga and lunch there. Braga: visit to the baroque Sanctuary of Bom Jesus, short walk around the city center, passing by the Cathedral and a few other main spots. Return to Porto according to your preferences. Day 5: The roads less traveled. It’s dedicated only to Vinho Verde (the Portuguese Albariño, but with more grape varieties), going deep into the Minho region (all the way to the border with Galicia). This tour also allows you to experience the real gastronomy of Minho at a well-known restaurant serving up famous authentic local cuisine. The reactions from people that visit the ciated of Valença are priceless and Brejoeira is the top shelf place for Alvarinho wine. Going deep into the country, we find new of-the-beaten-tracks and exciting places. Day 6: The current basic offer for river cruises is using the companies that operate with the traditional Rabelo style boats, and sell the “6 Bridges Cruise”. A 50 minutes cruise with prices around 15€ per person. The problem is that each one of these boats can take between 60 to 150 people, and sometimes they run atfull capacity. Sometimes audio info works, sometimes doesn’t. And to get the best seats (outside), passengers must be the first ones to wait in line to get on board. For this reason we’re offering private cruises with catering on board with capacity of 10 people. Day 7: Our chauffeur will take you to Porto Airport for your return flight.